Park Avenue Women's Center Providers Gila Leiter, M.D., F.A.C.O.G. Gila Leiter, MD, FACOG, provides exceptional and individualized OB/GYN care at Park Avenue Women’s Center for women living in Yorkville, Upper East Side, New York City. She’s passionate about helping her patients have a better quality of life, whether that involves managing a high-risk pregnancy or surgically assisting women who are dealing with fibroids. Take advantage of her expertise in high-risk obstetrics and treatment of postpartum depression, infertility, and menopause. Dr. Leiter graduated from Yeshiva University in New York with a bachelor’s degree in biology and went on to study public health at Hebrew University-Hadassah School of Public Health and Community Medicine in Jerusalem. Afterward, she received her medical degree from Albert Einstein College of Medicine in the Bronx. She completed her internship and residency at the Department of Obstetrics and Gynecology at Mount Sinai Medical Center in New York City. She has received accolades from both patients and the medical community, including the Compassionate Doctor Recognition Award, Patient's Choice NY Area Award, and New York Magazine Best Doctors. She was also featured in the Castle Connolly Best Doctors NY Metro Area for the last ten years. Dr. Leiter serves on the medical advisory board of Sharsheret, a nonprofit organization serving women recently diagnosed or living with breast and ovarian cancer. She also serves on the medical advisory board for Ohr Naava, treating and counseling at-risk teens and young adults in gynecologic issues, as well as a frequent lecturer for A Time and Chava, a resource for infertility and women’s health. She is President of the Medical Board of Mount Sinai Hospital, and runs its Administrative Executive Committee, as well as serving on many other hospital committees and the board of trustees. 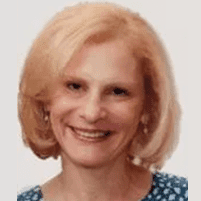 She is a past president of the Attending Association of Mount Sinai Hospital, serving on its executive committee. As an associate clinical professor at the Icahn School of Medicine at Mount Sinai, she teaches and trains medical students and residents in obstetrics and gynecology, hoping to transmit clinical skills and medical knowledge with a patient-based approach. The author of "Everything You Need to Know to Have a Healthy Twin Pregnancy," Dr. Leiter is the mother of twins and two other daughters. She loves trail running and has done several triathlons in the past.